There are hundreds of hotels around the world. But none nearly as luxurious as the ones featured here. 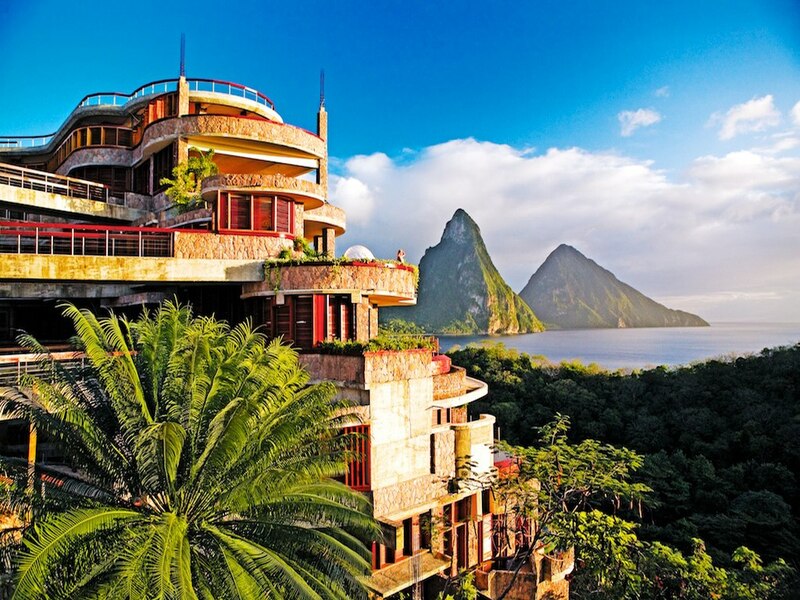 Read on to embark on a journey and view 101 of the most luxurious hotels in the world. 1. Singita Sabi Sand, South Africa. The Singita Sabi Sand is a South African private game reserve. What it lacks in—well actually, this hotel doesn’t lack much of anything. It excels not only in comfort but in combining South African culture with modern luxuries and comfort. A stellar place that excels when it comes to accentuating the nature that surrounds it. 3. 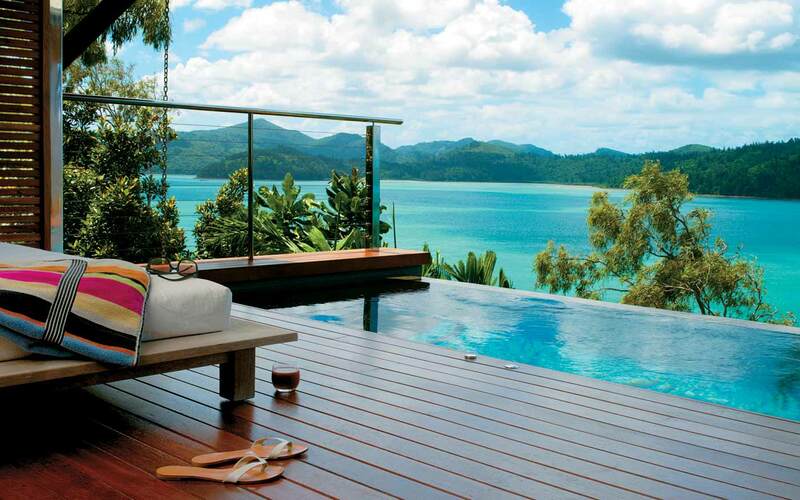 Qualia, Hamilton Island, Great Barrier Reef. This hotel at the tip of Hamilton Island promises one thing and only one thing in particular, relaxation. By the first day, you’re sure to be satisfied sipping champagne and relaxing near the sea. The name certainly fits with what this hotel offers. After all, what makes this place unique is that after relaxing and enjoying all the comforts that you would expect from a luxury hotel, you can view the wilderness where zebras, wildebeests and even impalas roam! Does this really count as a hotel? Probably not but it remains on the list because it manages to stand toe and toe with some of the best luxury hotels in the world. With fun events, fine wines and various other things to do, this is a way to travel in style. 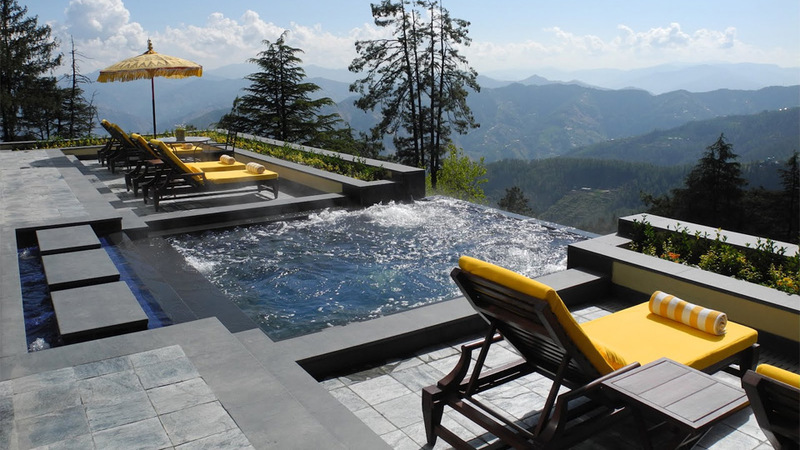 What’s a more jaw-dropping location for a hotel than the Himalayas. Set on top of the mountainous range, the Wildflower Hall excels not only in jaw-dropping sights but in delivering the comfort you deserve from a hotel. 7. Twin Farms, Barnard, Vermont. 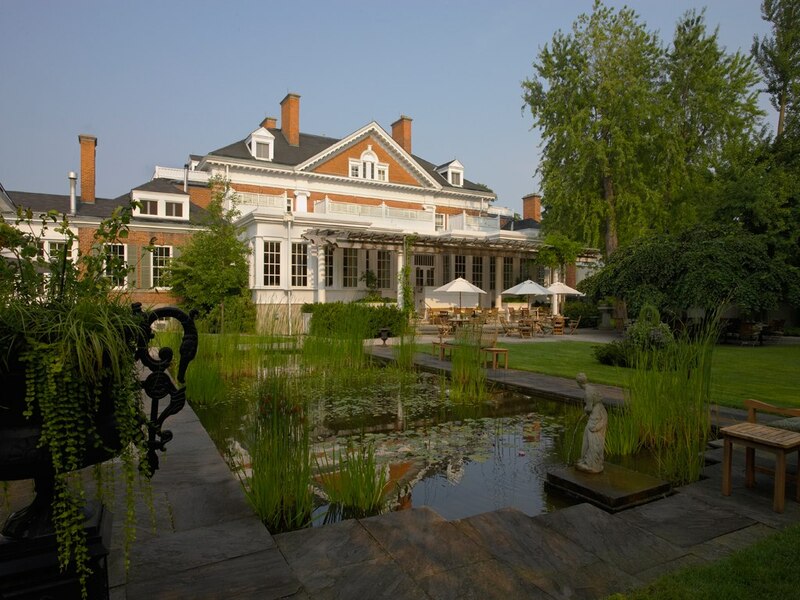 This hotel is a blast to the past with a stone, maple and brick farmhouse and a design that resembles the luxury houses of yesteryear while retaining the amenities of now. This hotel has an unlikely location in Southern Utah’s Canyon Point. With over 34 suites that are there to impress. This is the place to go if you have the money and are in Utah. 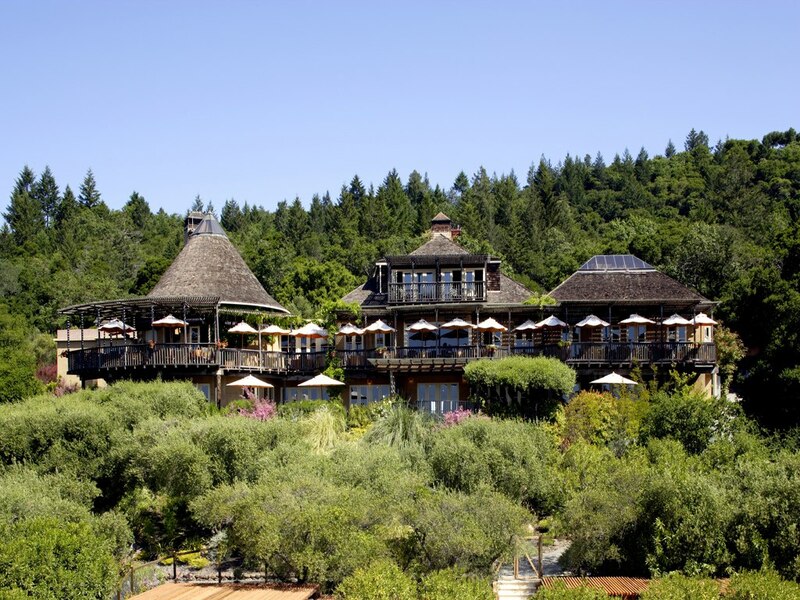 Located in Big Sur, CA, this beautiful retreat has cliff top rooms with stunning views over the Pacific Ocean. 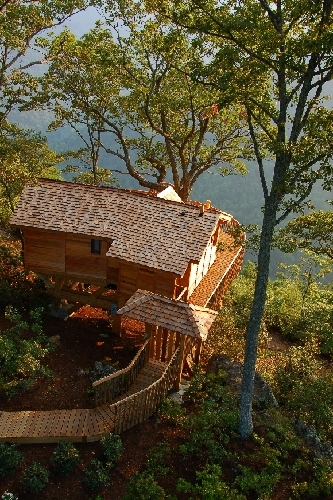 You can even stay in a tree house, or a room designed in the shape of a butterfly! The Balinese Retreat is a beautifully romantic spa retreat in Melbourne, Victoria. This retreat accommodates one couple per night. 11. Sabyinyo Silverback Lodge, Rwanda. 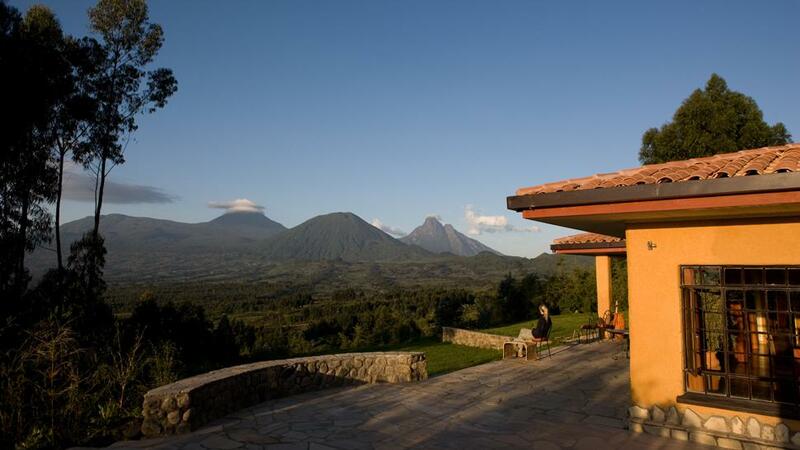 In a place you might not expect lies the Sabyinyo Silverback Lodge. A quality place to rest and experience the culture with the warm hues and African materials. With Raymond Blanc in the kitchen, Le Manoir aux Quat’Saisons is without a doubt Oxford’s most prestigious hotel. 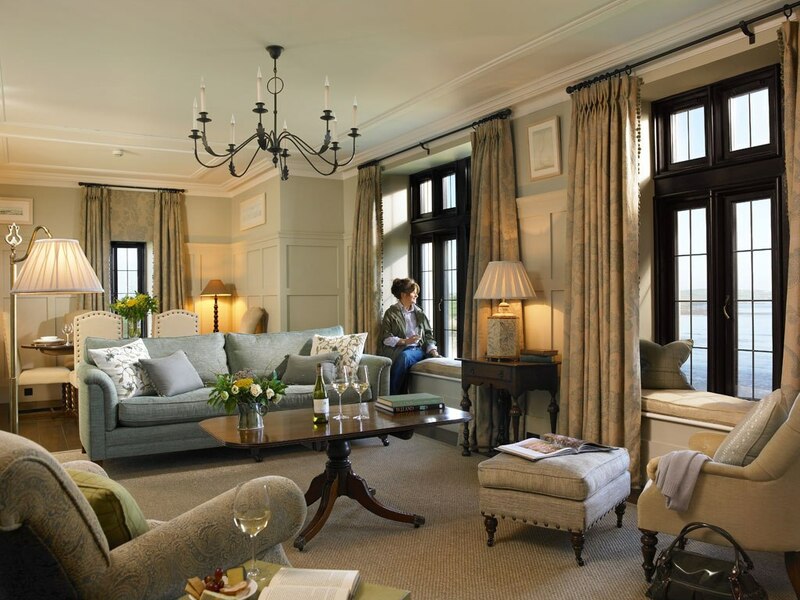 If you’re looking for a truly luxurious stay in the English countryside, it doesn’t get better than this. Saffire Freycinet is one of Tasmania’s most exclusive retreats. Complete with stunning views, exquisite food, and the opportunity to stand knee-deep in an estuary to try fresh oysters and local sparkling, it’s hard for this place to under deliver – no matter how high your expectations may be! Paris can be considered perhaps the place where luxury hotels, restaurants and other areas of that sort are most commonly found. That’s why it should be no surprise to hear that aside from being a luxury hotel, it is located in the city’s prime area for designer shopping. While reservations may be expensive, you can be sure that they’ll be worth it as this resort not only features a teak bridge held on top of a gorge but also features some of the most stunning landscapes you will see in the world. Perhaps befitting the name, to enter this hotel, you must cross over a lotus pond to then enjoy the architectural wonder that is this resort. 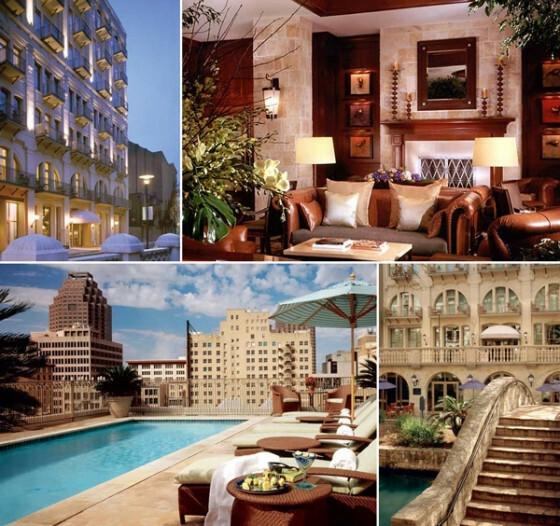 Going to a luxury hotel isn’t just about finding a place to sleep. It’s about experiencing new architecture, about being comfortable and escaping the noise of everyday life. The North Island resort in Seychelles realizes this and offers that and much more. Ever wanted to stay in an Igloo in Lapland? This is a hotel that symbolizes what Lapland is about. Thailand is perhaps best known for being the luxury hub of the world. It shouldn’t be any surprise for one to find out that the Pimalaia offers some of the most state of the art accommodations that can be found throughout the world. No matter what you’ve heard about Chicago, there’s no denying that this is a diamond in the rough. The Peninsula Hotel is that diamond for Chicago offering calm decor at a concrete tower overlooking an entire city block. This hotel is unique thanks to how it blends nineteenth century furniture with modern day furnishes. 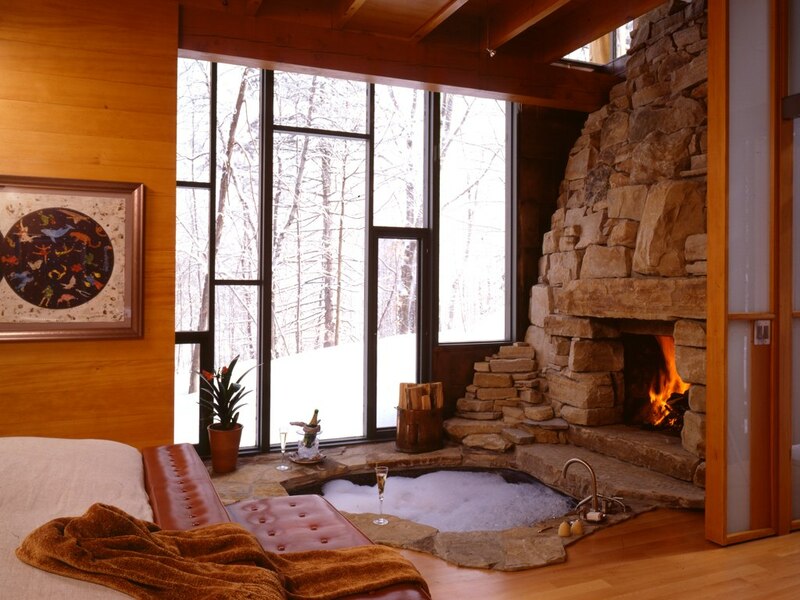 With huge book collections and fireplaces in every guest room, this is one of the best places to simply relax. 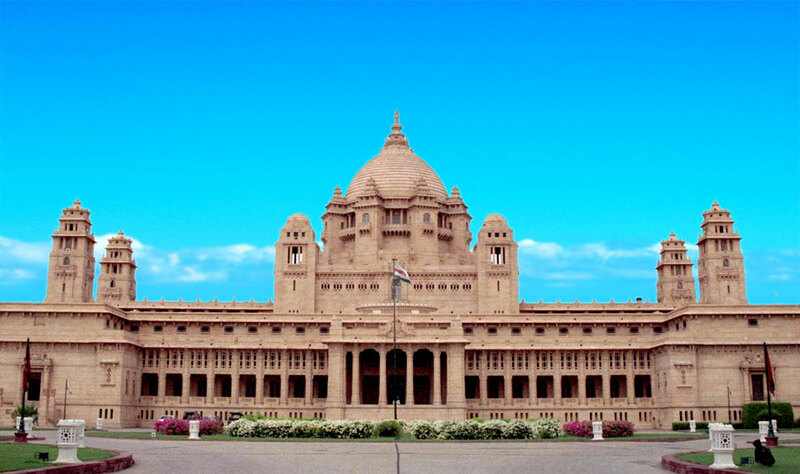 This former 1835 palace was built specifically for the queen’s handmaiden. If you want to live in residences fit for a king (or rather queen) and relax, this is the perfect place for you. With a rustic farm-like setting, well kept grounds and an outdoor heated spa, the Las Cisitas Del Colca hotel is the perfect hotel to relax at in Peru. One of the fanciest hotels in Italy is the Hotel Ristorante Grotta Palazzese. As to be expected of a luxury Italian hotel, this hotel offers impeccable service and rooms that will have you not wanting to leave. While many luxury hotels fail at properly mixing the charm of the old and new, the Kronenhof accomplishes this perfect. It’s truly an impressive property. If you’re on vacation in the Mediterranean, the Blue Palace hotel is the perfect place to check in. With remarkable suites, stunning hardwood floors and views over the ocean, this is the place to be. This hotel brings a whole new meaning to the word luxury. In particular, the Sea View Suite with its views and furnished rooms is what enables this place to be something truly special. 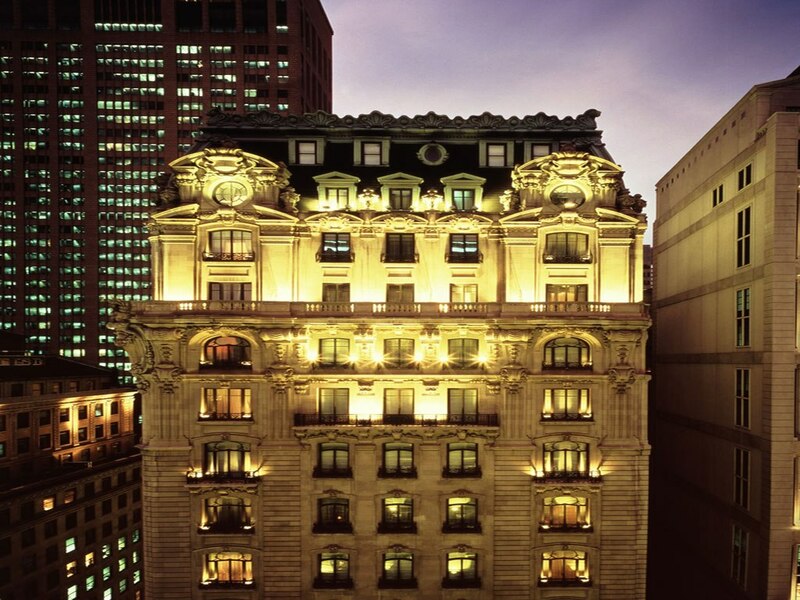 Four Seasons is one of the most prestigious hotels in New York City. Walking into the Ty Warner suite you are greeted by a gold bookshelf, a piano, and a view over the whole city. 29. Grand Hotel Timeo, Sicily. What else can be expected from a luxury hotel in Sicily aside from authentic post-Sicilian décor, rooms that are dressed to impress and a gorgeous view. Yes, this hotel offers all of that and more. 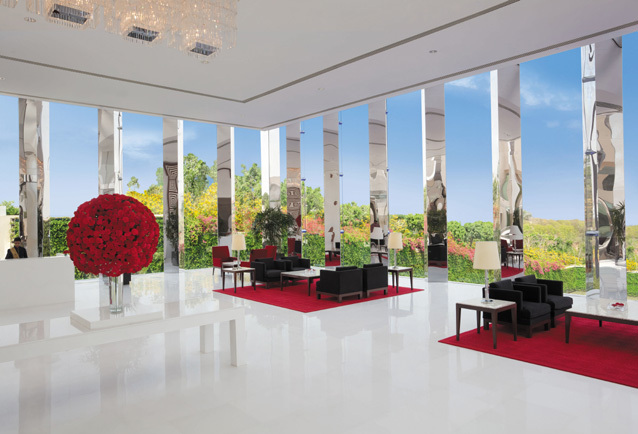 If you’re a luxury hotel enthusiast and have not heard of The Oberoi Gurgaon, then you haven’t truly lived. 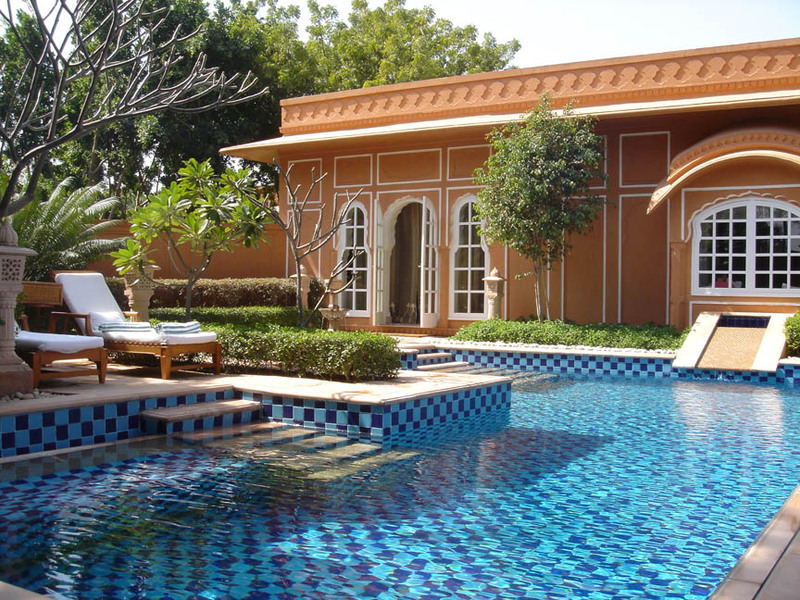 The Oberoi Gurgaon is considered to be on the best hotels not only in India but in the world. 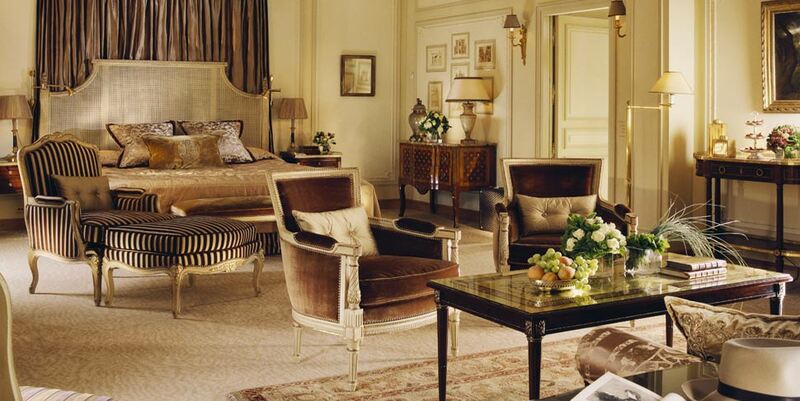 A great suite with king-size beds and enormous windows for any person who fancies a little bit of luxury in their life. With beautiful views over the mediterranean and Santorini, it’s no wonder this has been ranked as one of the best hotels in the world. With lush gardens and open-air walkways, this is a great place to visit. Acclaimed as one of New Zealand’s best luxury lodges, Blanket Bay offers a luxurious escape in the South Island’s Otago region. A fixture of the Hollywood scene thanks to its Gothic flair and luxurious suites. 36. Rudding Park Hotel, United Kingdom. This is one of the most beautiful hotels in North Yorkshire with landscaped gardens, a spa, gym and even a private movie theatre. This hotel is truly luxurious, and has some of the most impressive rooms in Vegas – perhaps best of all, the Hugh Hefner Suite. 38. Belmond Hotel Caruso, Italy. A former 11th century palace with one of the most spectacular infinity pools in Europe, this is the hotel to be especially during the summer. With direct access to the only 12 months a year available ski area in Austria, this is the perfect place for anyone who fancies a bit of adventure in their life. 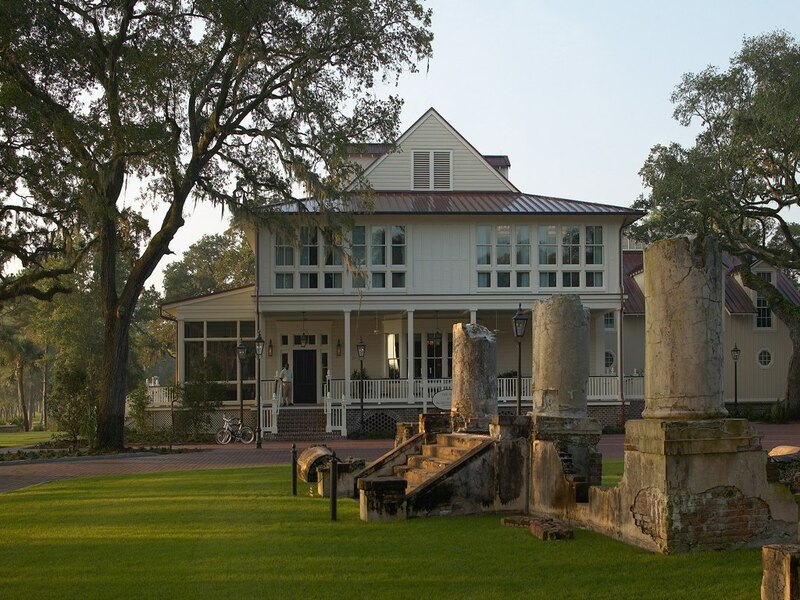 Travellers at The Osthoff Resort are sure to have found the perfect meditation sanctuary. With a cafe, a huge spa and marble rooms, this is the best place for the tired traveller to stay. This hotel resides elegantly on a 50-acre island near the area of Udaipur. Free from the noise of modern Indian civilization, this hotel not only offers a nature preserve for spotting animals native to the region but also offers all of the usual amenities. 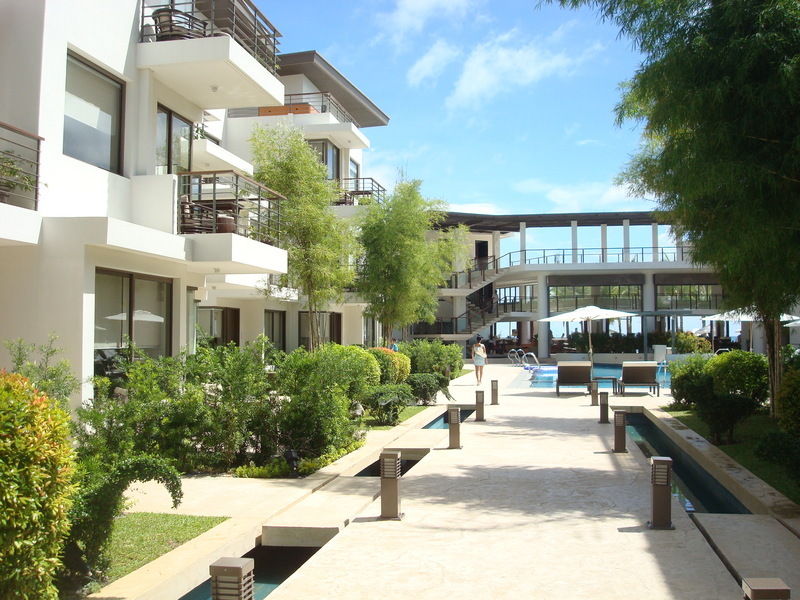 The Discovery Shores Boracay exists on top of what is considered the world’s softest sand. The soft and relaxing nature of the area extends to the hotel with a scenic rock garden, relaxing pool and even a karaoke bar. Yes, this is a hotel. And yes, it is wrapped around a hillside. The designers of this place set out to make it both unique and beautiful and one look at it makes it obvious that they’ve fulfilled their goal. 15 years. That’s how long it took to construct this massive hotel. One step inside is not enough to grasp the scale of it. As you walk through, you can encounter all sorts of places including a private bar, rooms featuring exclusive art decorations and suites decorated with expensive chandeliers and sofas. Ever fancied a trip to the Canadian Rockies? How about you try the next best thing and come to the Post Hotel and Spa which offers not too far from it, jaw-dropping views of the Rockies in addition to a 26,000 bottle wine cellar. 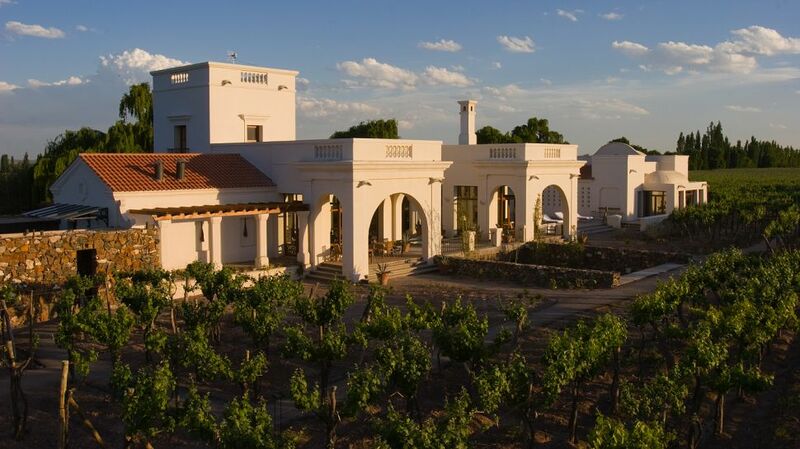 Cavas Wine Lodge can be considered a chef’s dream hotel. With a fancy restaurant that offers freshly-cooked lamb, grilled ravioli and other delicious dishes, this place is both a feast for the mind and body. The Ritz-Carlton is the playground of the elite during the film festival, MIDEM, MIPCOM, and other prestigious events held in the South of France. 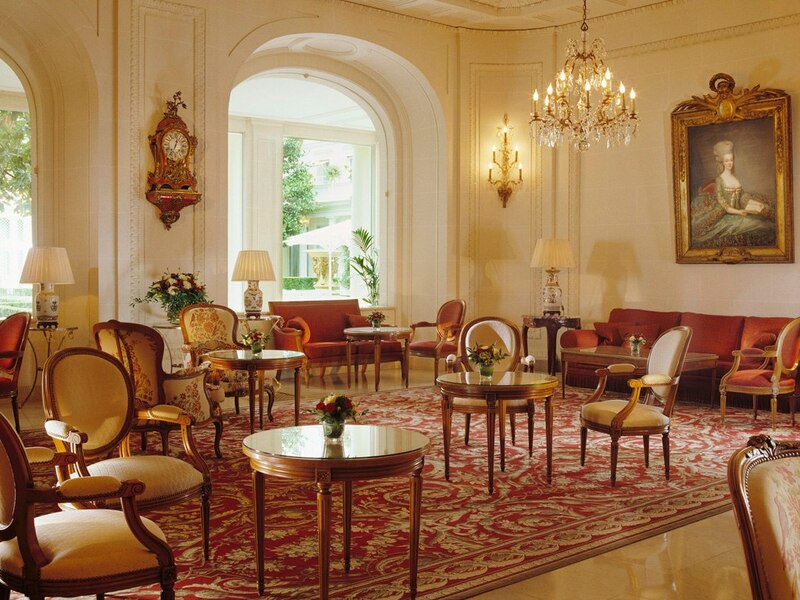 If you stay at the Cartlon, be sure to visit the Grand Salon for the incredible atmosphere. 48. Four Seasons Hotel Amman, Jordan. If anything is going to put Jordan on the map, it’s the Four Seasons Hotel Amman. A glass and stone structure that sits in between a financial district and residential area, it offers more than 100 guest-rooms, a hotel spa and some of the best architecture not only in Jordan but in the world. 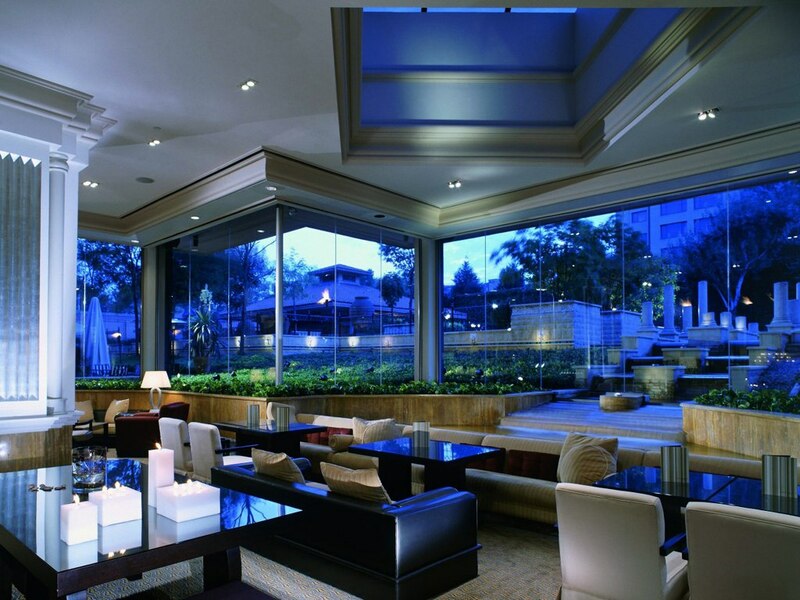 This hotel offers more than 360 luxury apartments and suites as well as multiple restaurants and a tennis court. And yes, it also offers a Turkish bath. 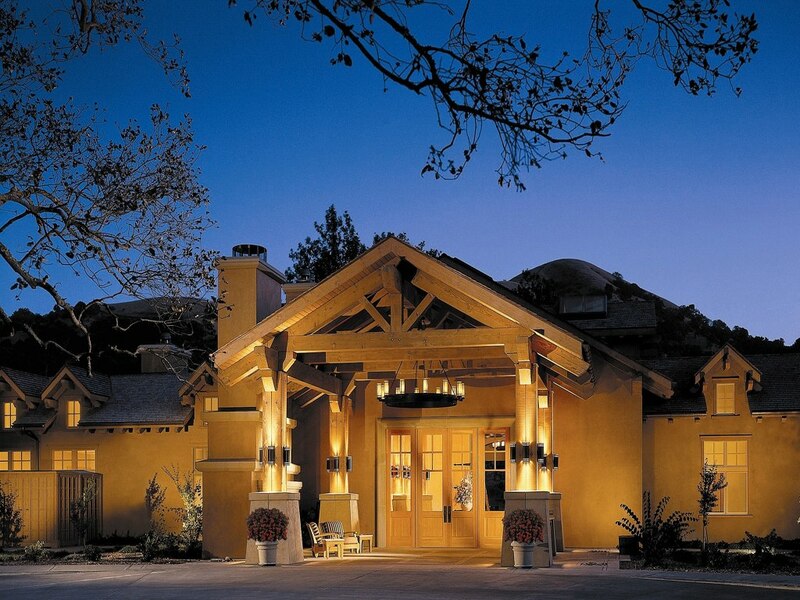 This hotel scored a 93.63 in Travel and Leisure magazine. Considering its 18-hole golf score, night-time observatory, tree-climbing “exhibits”, is it any surprise? Just walking into this hotel requires you to take a breather. 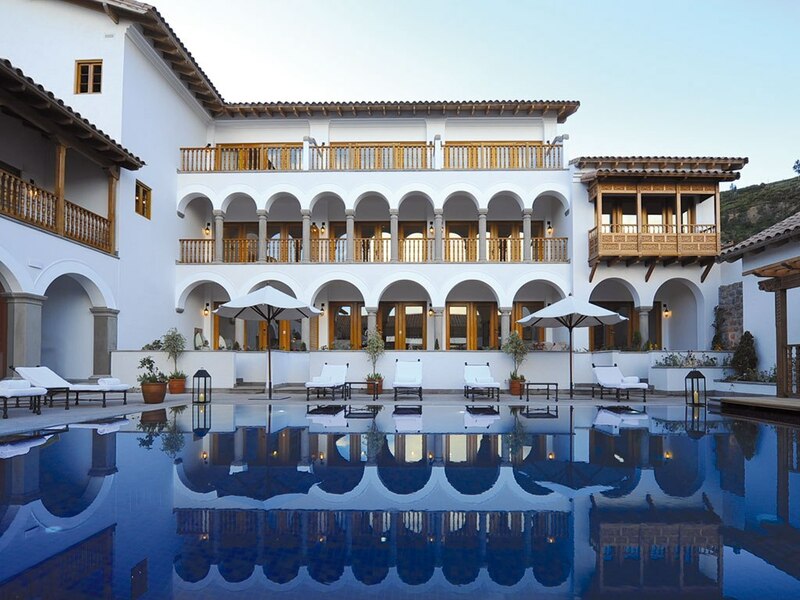 Set in a plaza behind Cusco’s main square, this hotel not only offers the most jaw-dropping interior you have ever seen but also a huge and elegant pool for you to relax by. This hotel definitely offers all the usual comforts but is also unique in its Haussmann-era touch. It can also boast to have had legends such as the Rockefellers and Rudolph Valentino as guests here and looking at what they offer, it’s no surprise they choose this hotel as their place to stay. This five star Trump-collection hotel and golf resort is in the village of Doonbeg, in County Clare, Ireland. It offers lush accommodation, an 18 hole golf course, a spa, and incredible cuisine. This luxury hotel and golf resort definitely offers some of the best amenities in the world but in addition, features a secluded golf resort. Necker Island is Sir Richard Branson’s private island in the British Virgin Isles. The island is surrounded by coral reefs and accommodates up to 30 adults all year round. Who knows, you might even bump into Richard himself? This hotel excels in being a peaceful and relaxing place to rest. While it certainly does feature all the luxuries you would expect from a luxury hotel, it’s quiet location provides you the perfect place to relax and recharge. The Rosewood Mayakoba is what other regular hotels aspire to be like. 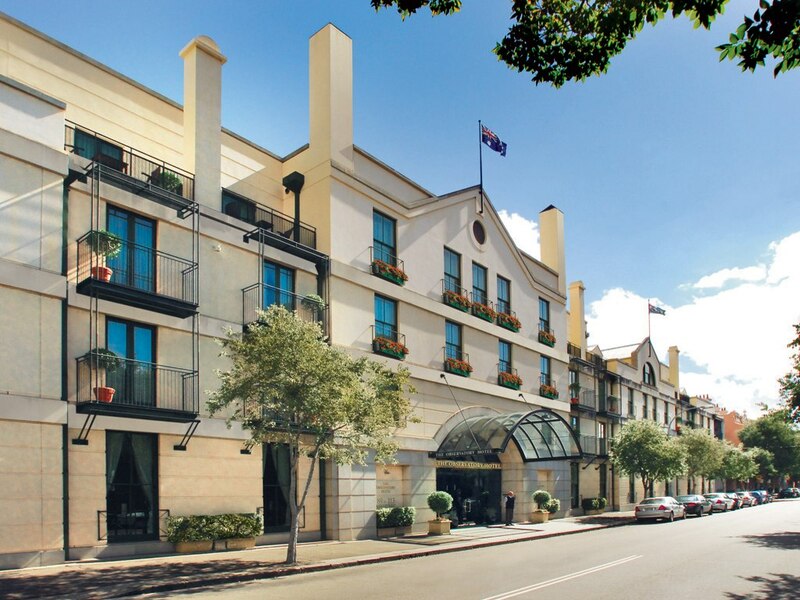 With its elegant surroundings, exquisitely designed rooms and great rates, this is the place to visit. This hotel is the home of a former 13th century brewery and monastery. One look throughout the place makes its classical roots obvious. If you’re looking for a more traditional spin on the luxury hotel experience, be sure to visit here. Yes, this is a Hawaiian hotel as you probably already guessed from the name. What it offers in addition to the luxury Hawaiian experience are rooms and suites that exist to impress, traditional dining and a gorgeous view of the ocean. This hotel caters to those who might want a more intimate experience. This hotel while only 32-rooms in size offers a big punch in a small package. With private tours by hot air balloon offered by the hotel, floor-to ceiling windows and rooms that provide a glorious view of the nearby park, this place will provide you with an experience you won’t soon forget. Considered to be one of, if not the best hotel in New York City, the Peninsula offers a lively rooftop bar scene in addition to the luxury hotel experience you might have come to expect. Yes, this is a hotel shaped like a sail. Yes, it is on top of an artificial island. And yes, of course, it’s located in Dubai. Dubai is known for it’s ambitious “over-the-topness” philosophy and this hotel is no slouch. With fully equipped bars, floor-to-ceiling windows, butler service tailored for each floor among other amenities, this is the hotel to place on the “100 hotels to visit before you die” list. Egypt has another architectural wonder aside from the pyramids. That would be the Four Seasons Hotel in Alexandria. While some would consider it blasphemy to pick a hotel over the many other traditional sights, one look at the Neo-classical furniture within and crescent-shaped tower might change your mind. With over 300 rooms featuring the best in Chinese art and ceramics, butlers that serve to help foreigners in finding the best place in the city, and a gorgeous view of the Huang Pu River, this is a great place to check out. 41, that’s where this hotel ranks on the list. Not really. 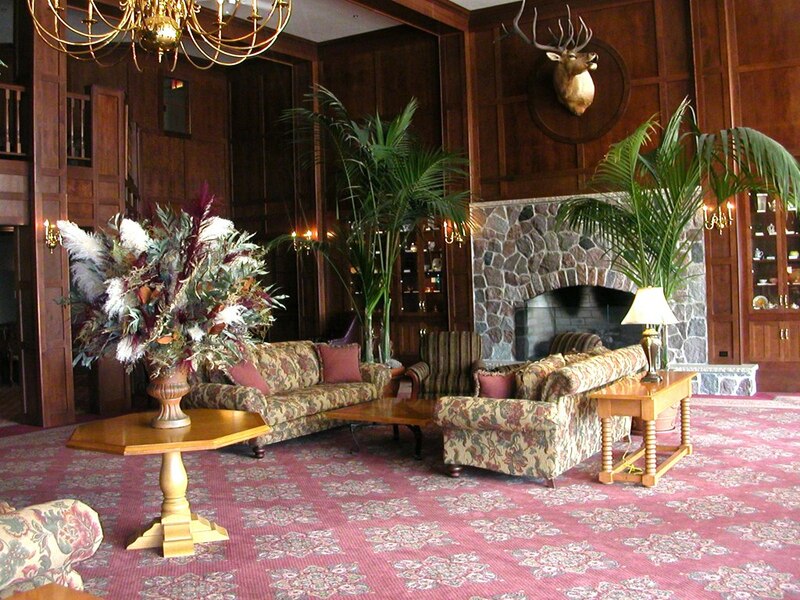 Where it does rank is as one of the best luxury hotels in the world thanks to an old-fashioned club, mahogany panelling throughout as well as a working fireplace to accentuate the antique feel. A food focused place of rest where budding chefs and chefs alike can get culinary demonstrations, a 5 course dinner and a place to relax. Not only is this pub one of England’s oldest inns (built in 1156), but it attracts celebrities including Johnny Depp, Judi Dench, and Michael Caine. The inn has a history in being where smugglers used to meet. Ever wanted to live in a castle? Now you can be the king of the castle for a few nights of your Scottish holiday at the Aldourite Castle. 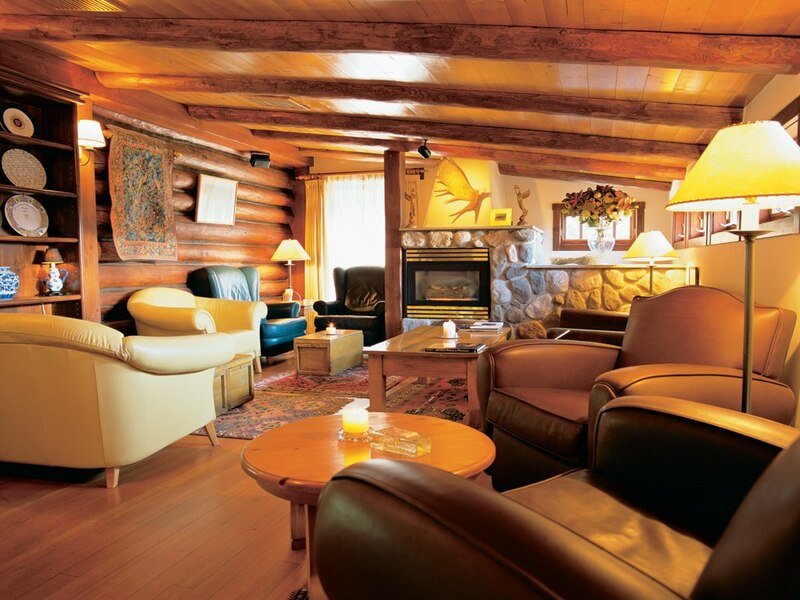 This is a great place to stay and relax as well as enjoy some of the great gourmet food offered here. Where in the world can get you a tea ceremony room, an art museum and a place to relax all in one? The Hotel Okura, that’s where. This hotel is an under appreciated place of relaxation. With a gorgeous view of the marina and service unmatched by any other place, this is a great luxury hotel destination. Located on a small private island, this is the place to relax. Whether it’s the luxurious outdoor bathing areas or sunset facing rooms, you’re sure to enjoy a visit here. With more than 80 floating bungalows on an oasis and glass-bottom coffee tables, it should be obvious that this hotel excels when it comes to luxury. Brazil is a popular vacation place. If you’re visiting here, it’s worth checking out the Ponta Dos Ganchos hotel. With gleaming floors and turquoise waters, this is a hotel fit for a king. This hotel appeals to the serene side of people. With a high staff-to-guest ratio, friendly service and panoramic window views, this is the place to visit. This hotel caters to those who want to experience Morocco without the clutter of modern-day life. With no TVs to shatter the peace, an outdoor space for each suite and antique furnishing, this is a great place to visit. This hotel is a blast to the 19th century past. While it does not sacrifice any modern luxuries, it still offers classic antiques and paintings, oriental carpets and even chintz drapery to further accentuate the place. This is a safari camp made with a luxury spin on things. While it does feature glass doors on huge tents, this camp doesn’t forget about its “outside” origins. If this is where in Belize, Saul wanted to send Hank in Breaking Bad, Walt definitely should have listened. This hotel not only excels in the luxury but also provides the perfect place to relax. Tibet isn’t a country that comes up often when it comes to luxury places. This hotel should put in on the map, though. With complex stone areas, wood-beam ceilings and serene religious courtyards, this is a great place to visit. Combining the best of Spanish colonial architecture with the best of modern technology, this hotel does a tremendous job at blending both the old and new. Le Soleil means sun in French and is an apt name for this resort. Considered to be “the sun that shines on California”, this resort offers everything you expect and more. 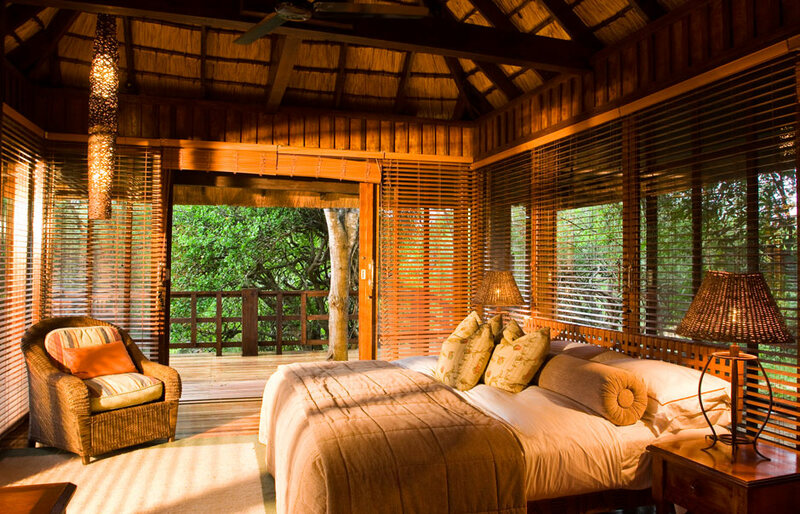 Seychelles boasts some of the most luxurious retreats in the world. Keeping this in mind, is it any surprise that this hotel boasts sea-facing private maia villas, and a restaurant wing next to a pool garden all on your own private peninsula. 83. Ciragan Palace Kempinski, Istanbul. 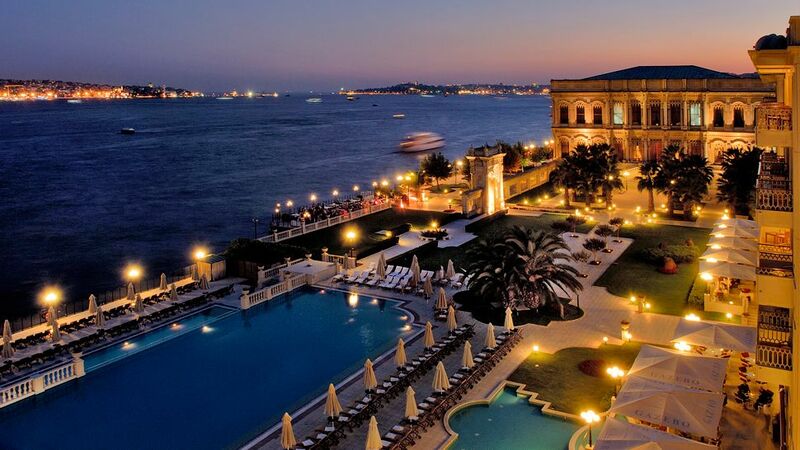 Perhaps a love letter to luxury hotel visitors around the world, the Ciragan Palace offers up the true Istanbul experience mixing a prior sultan’s huge palace with palm trees and gazebos that serve to further enhance the already impressive resort. What makes this place unique is not its beauty which it does have in strides. Rather, it’s the eco-conscious nature of the place where with every step, you can see nature’s influence. This hotel claims to offer a “touch of luxury”. Looking at the furniture, fresh seafood and historic photographs, it certainly seems to make good on its claim. Set alongside a river with wild Hippo and Elephants, this is the perfect place to relax and experience the beauty of Tanzanian wildlife. Considered to be perhaps one of the best inns in the world, this resort is next to acres after acres of forests as well as rice fields that further accentuate the culture of the area. This hotel is said to embody the essence of tranquility and elegance. Is it any surprise that it is located on a cliff right on top of the island’s caldera? Not at all. Perhaps the most American place that can be found in Ontario, the Langdon Hall Country House offers pretty much every comfort a visitor could want. What makes it unique is the design that not only highlights the architecture of yesteryear but its rich history and legacy. A hotel truly befitting Greek culture with a wide outdoor pool and nice furniture. What luxury hotel list would be complete without mentioning Dubai. 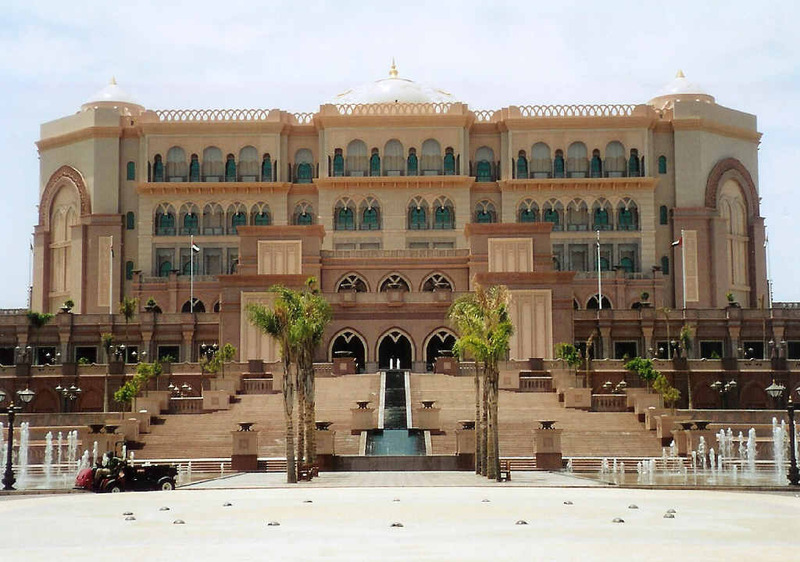 The Emirates Palace is perhaps the most well-known luxury hotel in the world and with its unique architecture and gold-plated “plates”, there’s no surprise it is considered one of the best. 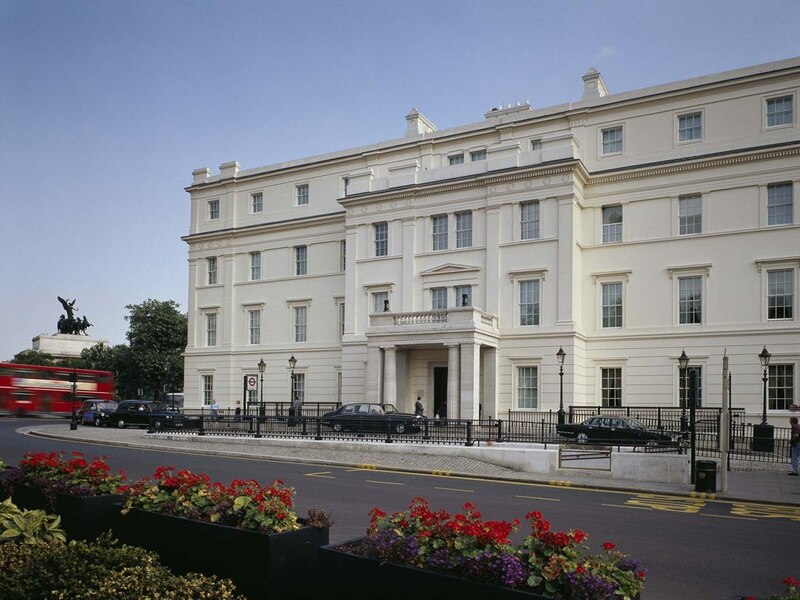 Few hotels are as well known as The Lanesborough. 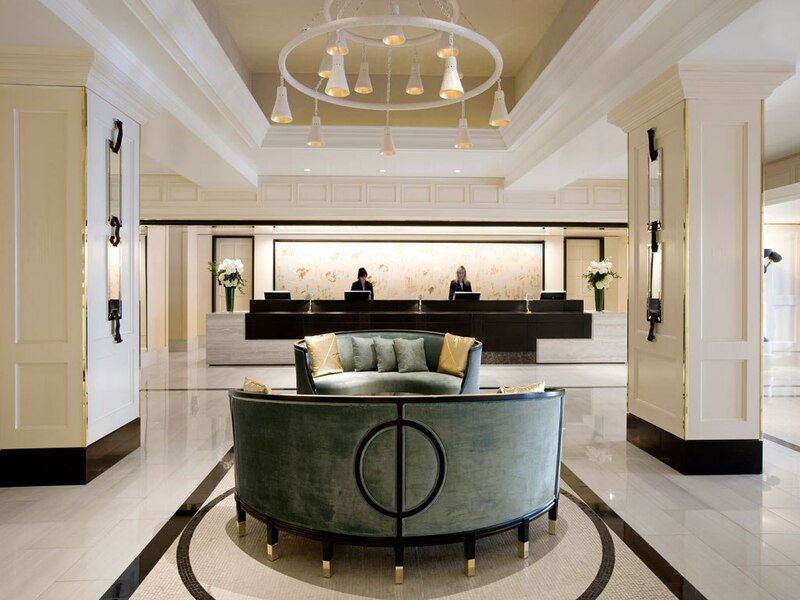 A 5-star hotel located on Hyde Park Corner, it incorporates some of the best available in contemporary hotel luxury and technological innovations. New York, New York. If Frank Sinatra was alive today, I have no doubt in mind that he would have been a fan of the St. Regis hotel. 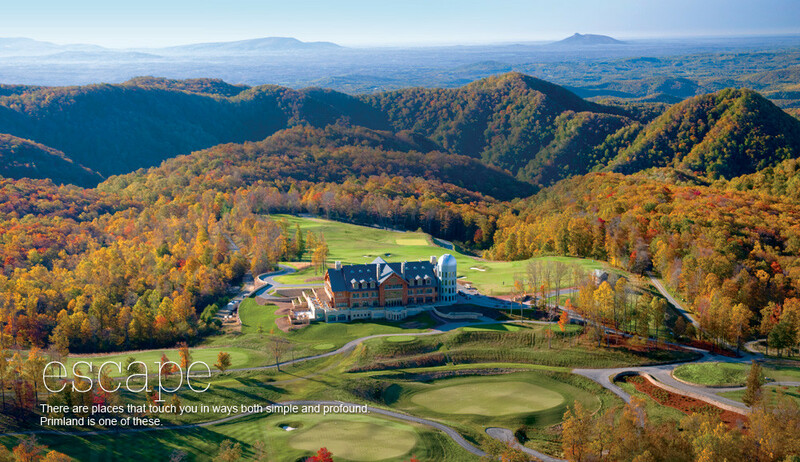 After all, with its luxury amenities, who wouldn’t love this place? While probably the least expensive of all the hotels on the list, this place is nothing to scoff at. With the all around friendly atmosphere and impressive service, this is a great place to relax after a long day on the outback. 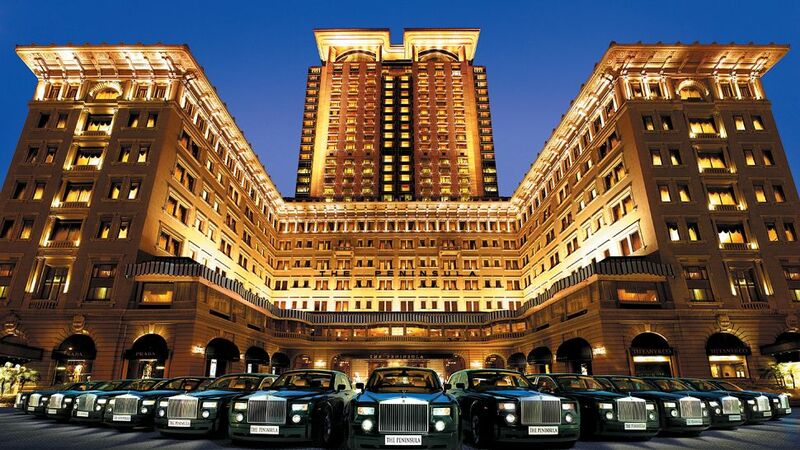 Hong Kong is generally overlooked when it comes to luxury hotels. Looking at The Peninsula, this is a huge mistake. With first class services, a huge spa and jaw dropping mountain suite, this hotel is the creme de la creme of luxury hotels. Considered to be the number 1 hotel in California, this 200-room place is set in Hollywood Hills and features a lively rooftop bar scene. This is a mostly secluded golf and spa resort that is perfect for those travellers that want a break from the troubles of every day life. 98. 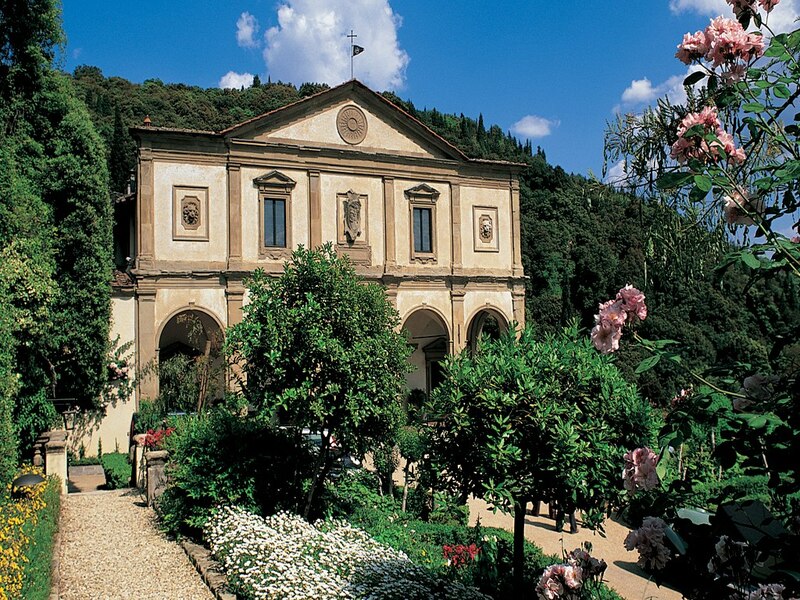 Villa San Michele, Fiesole, Italy. What this hotel offers in addition to the typical comforts is a unique ambience brought upon by being near a cliffside surrounded by trees and astonishing views of the “City of Lillies”. 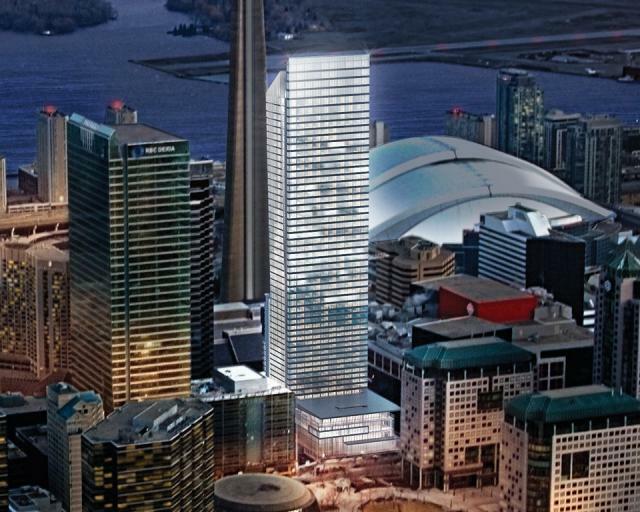 Toronto is known for far more than simply a crack-smoking mayor, in particular the Ritz-Carlton hotel. 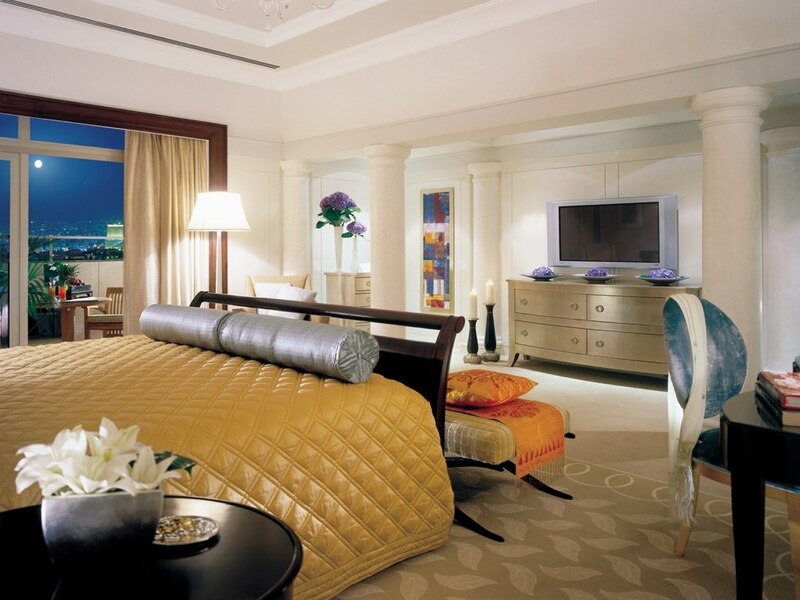 The Ritz-Carlton is perhaps one of the best known hotels not only in Toronto but in the world. With a Jacuzzi, a beauty bar and a saltwater pool among other things, is it any surprise? Coco Prive is a 13,000-square foot island in the Maldives that accommodates up to 12 guests. At £157,500 to rent the whole island, this is one of the most exclusive and extravagant retreats in the World. Last but not least is the Milestone Hotel. With access to a gym, resistance pool and jogging tracks, this is the perfect place for an athlete or even aspiring one to relax. All photographs belong to their respective owners. If you are the copyright owner of one of the photos used and would like us to amend the credit or remove the image, please contact us.